Understanding the effects of different wing planforms is important when learning about wing performance and airplane flight characteristics. A planform is the shape of the wing as viewed from directly above and deals with airflow in three dimensions. 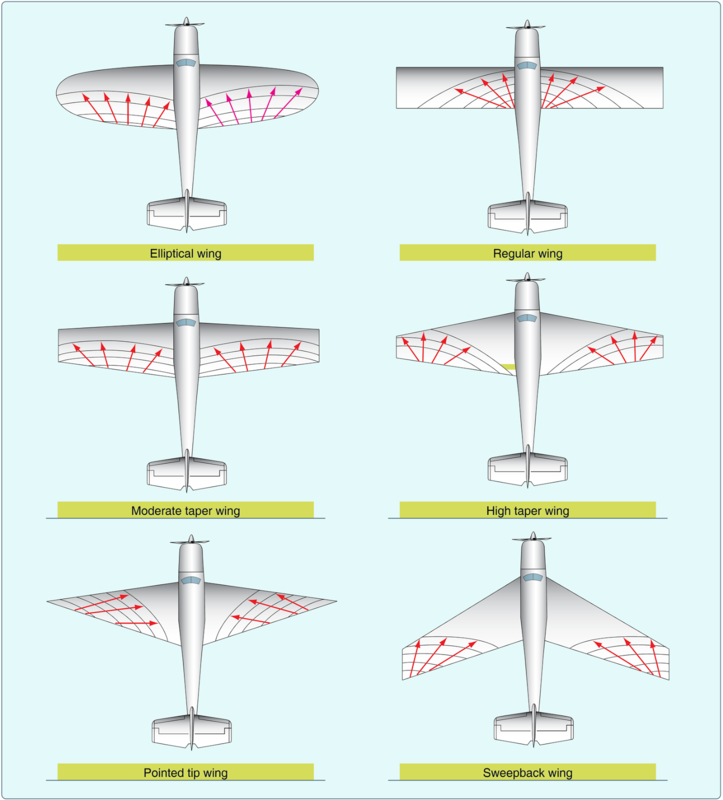 Aspect ratio, taper ratio, and sweepback are factors in planform design that are very important to the overall aerodynamic characteristic of a wing. Aspect ratio is the ratio of wing span to wing chord. Taper ratio can be either in planform or thickness, or both. 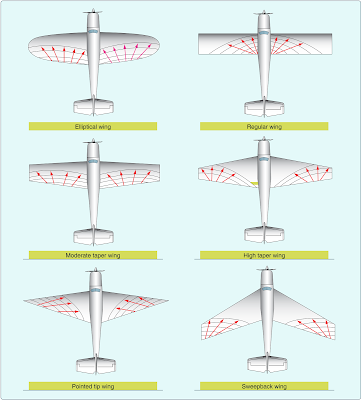 In its simplest terms, it is a decrease from wing root to wingtip in wing chord or wing thickness. Sweepback is the rearward slant of a wing, horizontal tail, or other airfoil surface. There are two general means by which the designer can change the planform of a wing and both will affect the aerodynamic characteristics of the wing. The first is to effect a change in the aspect ratio. Aspect ratio is the primary factor in determining the three dimensional characteristics of the ordinary wing and its lift/drag ratio. An increase in aspect ratio with constant velocity will decrease the drag, especially at high angles of attack, improving the performance of the wing when in a climbing attitude. A decrease in aspect ratio will give a corresponding increase in drag. It should be noted, however, that with an increase in aspect ratio there is an increase in the length of span, with a corresponding increase in the weight of the wing structure, which means the wing must be heavier to carry the same load. For this reason, part of the gain (due to a decrease in drag) is lost because of the increased weight, and a compromise in design is necessary to obtain the best results from these two conflicting conditions. The second means of changing the planform is by tapering (decreasing the length of chord from the root to the tip of the wing). In general, tapering causes a decrease in drag (most effective at high speeds) and an increase in lift. There is also a structural benefit due to a saving in weight of the wing. Most training and general aviation type airplanes are operated at high coefficients of lift, and therefore require comparatively high aspect ratios. 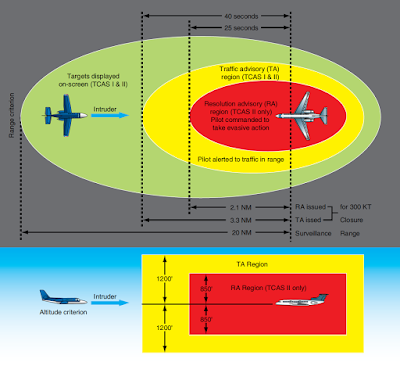 Airplanes that are developed to operate at very high speeds demand greater aerodynamic cleanness and greater strength, which require low aspect ratios. Very low aspect ratios result in high wing loadings and high stall speeds. When sweepback is combined with low aspect ratio, it results in flying qualities very different from a more conventional high aspect ratio airplane configuration. Such airplanes require very precise and professional flying techniques, especially at slow speeds, while airplanes with a high aspect ratio are usually more forgiving of improper pilot techniques. The elliptical wing is the ideal subsonic planform since it provides for a minimum of induced drag for a given aspect ratio, though as we shall see, its stall characteristics in some respects are inferior to the rectangular wing. It is also comparatively difficult to construct. The tapered airfoil is desirable from the standpoint of weight and stiffness, but again is not as efficient aerodynamically as the elliptical wing. In order to preserve the aerodynamic efficiency of the elliptical wing, rectangular and tapered wings are sometimes tailored through use of wing twist and variation in airfoil sections until they provide as nearly as possible the elliptical wing’s lift distribution. While it is true that the elliptical wing provides the best coefficients of lift before reaching an incipient stall, it gives little advance warning of a complete stall, and lateral control may be difficult because of poor aileron effectiveness. In comparison, the rectangular wing has a tendency to stall first at the wing root and provides adequate stall warning, adequate aileron effectiveness, and is usually quite stable. It is, therefore, favored in the design of low cost, low speed airplanes.